How does Density of Loess Soil Indicates Collapse Potential? Density of loess soil including other collapsible soil is an important (not only one but one of the most) parameters that can be used to determine collapse potential. In 1961 Hilf and Holtz recommended that dry density together with liquid limit can be used to determine collapse potential of loess soil. Now how to use this equation? 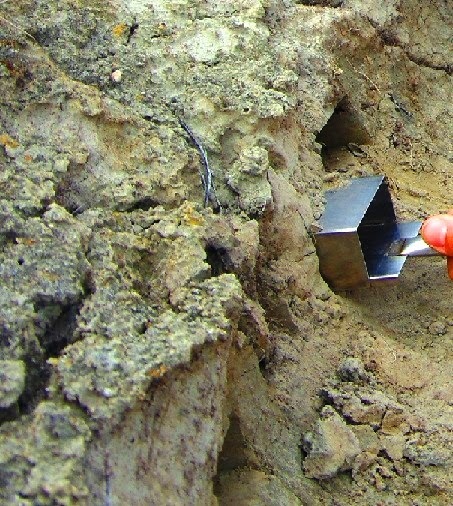 If in situ density of soil is found to be less than the result found from equation (1) (γdry), this soil is considered to have susceptibility to collapse. With increase in difference between two densities (one from equation (1) and another from in-situ value), the severity of collapse is also increased. Though not relevant, we are including optimum moisture content and maximum dry densities of typical loess soil as this post is related to density of loess soil. Optimum moisture content= (12-20) percent.